Sweet Dreams is a touching story based on Massimo Gramellini’s autobiographical best-seller of the same name that explores how the death of a mother can have a profound effect on her young son, so profound that it takes him half a lifetime to fully come to terms with it. Young Massimo (Nicolò Cabras, a great find) is adored by his mother (Barbara Ronchi), even though her melancholic stares signal early on that something’s amiss. One night, Massimo is woken by his father’s cry, and his mother is never seen again. When his family ambiguously explains that she has died of a heart attack, the confused young boy refuses to accept his mother’s disappearance. Cabras’ honest and wide-eyed performance is heartbreakingly moving and the film aptly depicts a young boy’s experience of a life which is suddenly consumed by this void. The confusion that abruptly develops from his loss persists through adulthood and as his life forces him to deal with old wounds he must also learn to confront what exactly happened the night his mother vanished. 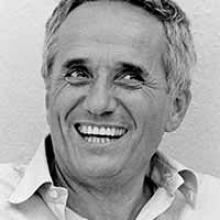 Born in Bobbio, Italy in 1939, Marco Bellocchio is an Italian film director, screenwriter, and actor. In 1991 he won the Silver Bear – Special Jury Prize at the 41st Berlin International Film Festival for his film The Conviction. In 1999 he was awarded with an Honourable Prize for his contribution to cinema at the 21st Moscow International Film Festival and in 2011 awarded with the Golden Lion for Lifetime Achievement at the 68th Venice International Film Festival.